The lovely, sustainable dinner set from the Swedish brand Cink is made of bamboo and features cups, bowls and spoons in 5 beautiful colours, that easily fit into any modern home. The cups are available both with and without spout. The set is perfect for feeding your small child or for when your child is learning to feed themselves - however larger children and grown-ups can use it too, for example for breakfast or for snacks on a cozy evening on the couch. 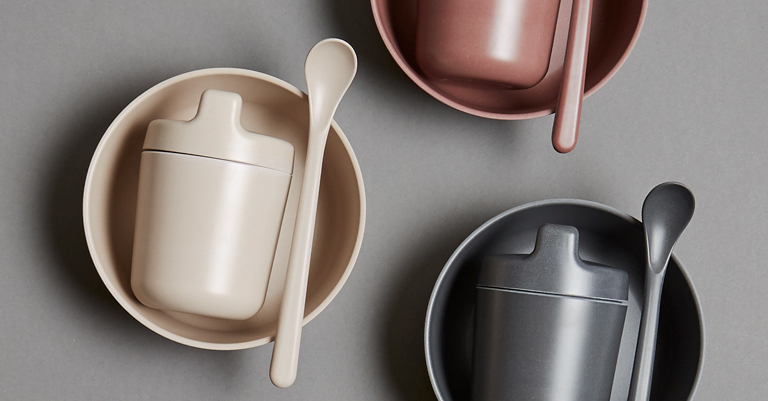 The dinner set is BPA, PVC and phthalate free and is FDA and LFGB approved.